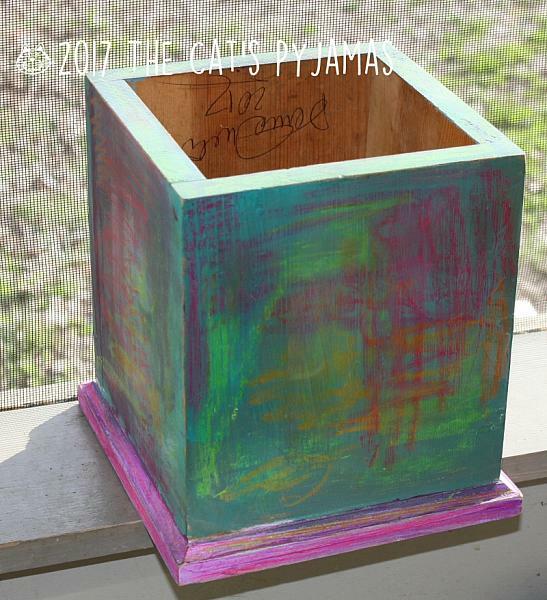 Here's a vintage letter/bill organizer that I painted a really BRIGHT green with different cat related words all over in bright pink, white, black, teal and purple. I put some hearts here & there and some polka dots. 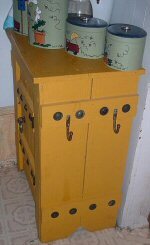 The bottom has 3 tarnished hooks that are a little bent, but I liked that "used" look and left those original hooks there. 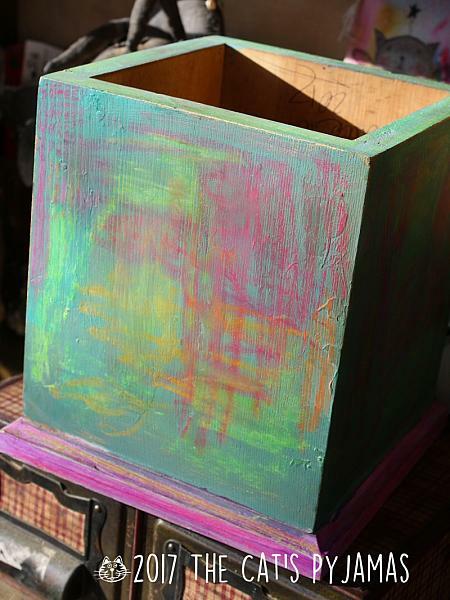 The piece measures just a little over 21" tall (about 22" if you include the hooks), 5½" wide x 3-7/8" deep. Good for holding all those bills and junk mail or for storing photos, ephemera, etc. 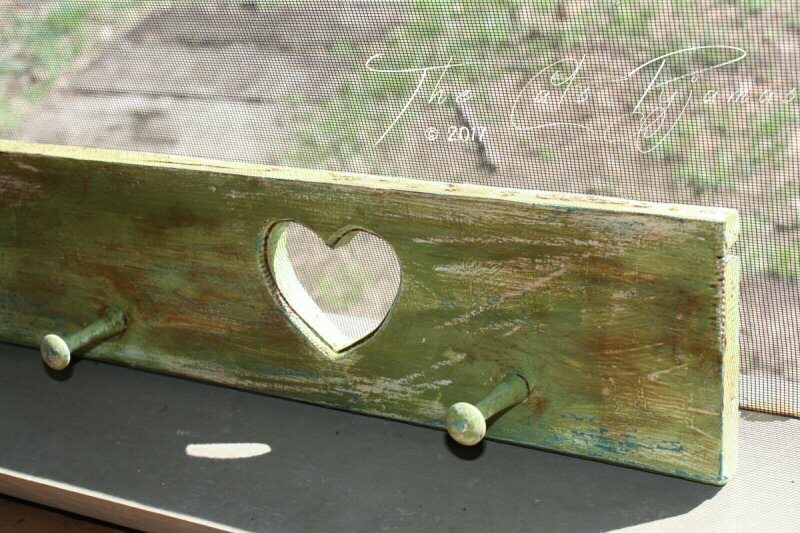 Vintage peg hanger that measures 41" X 5"
Vintage window painted teal over dark red. I love the color combination! 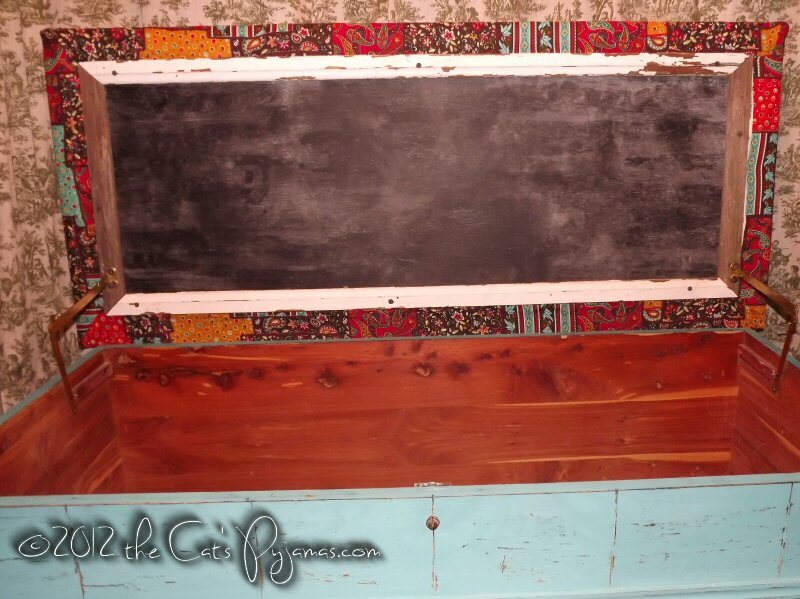 In place of the windows I put some plywood and painted a chalkboard finish on it. 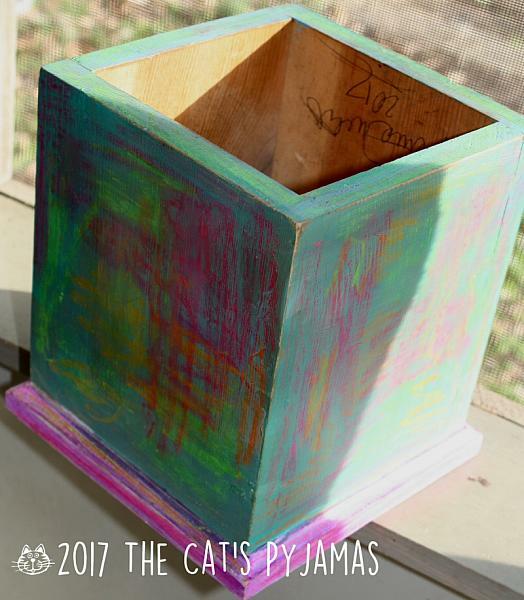 My husband made this crate from salvaged wood and I painted and distressed it. 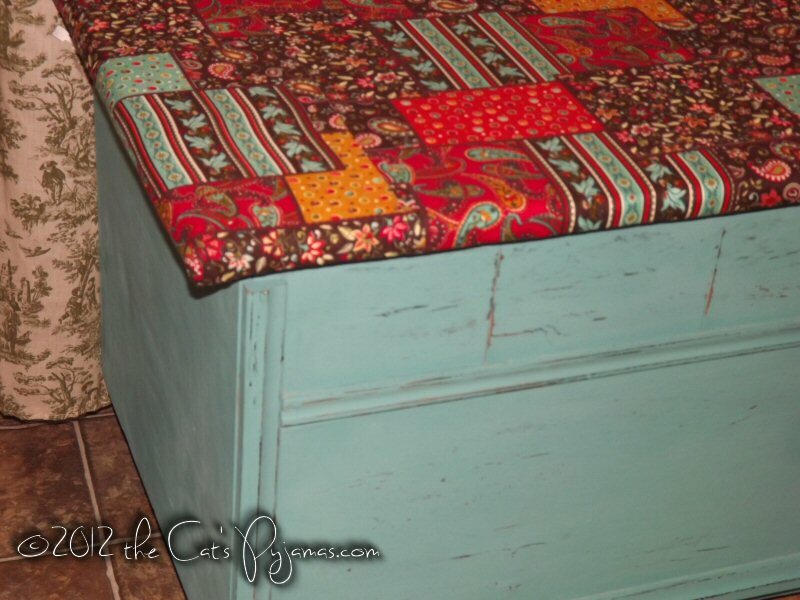 Makes great storage or pet bed. 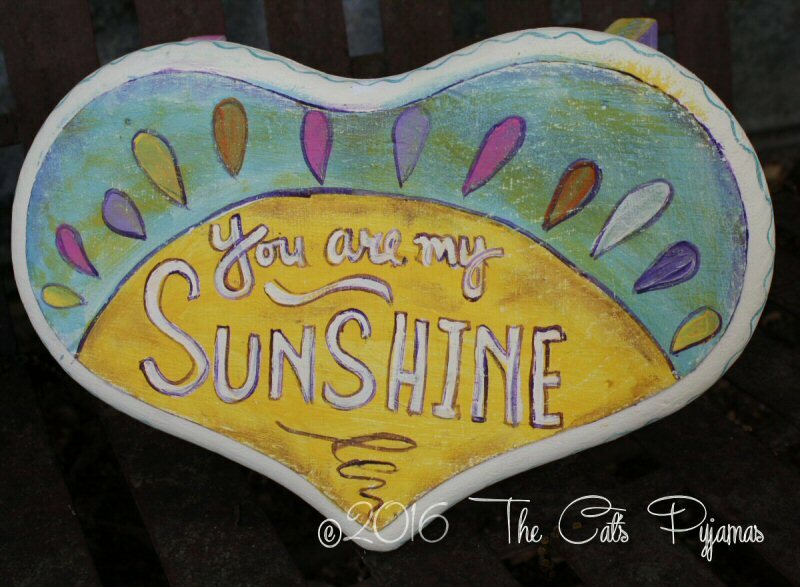 Measures approximately 19" x 10" x 8". I love how this piece turned out! 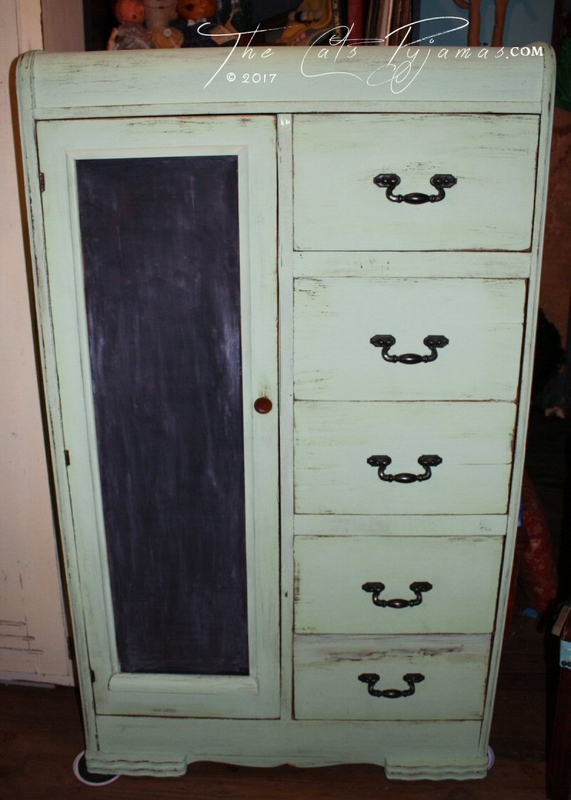 I painted it a vintage green and distressed the heck out of it. I added a frame around a chalkboard finish on the door and updated the hardware. 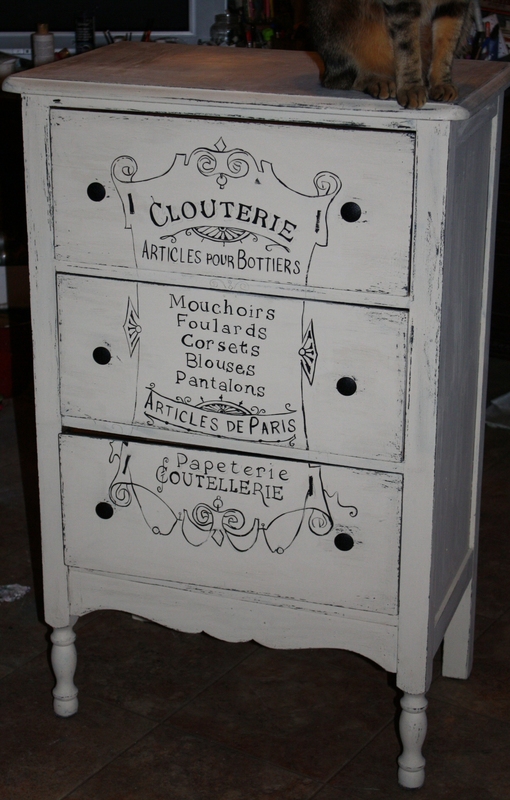 There are 5 drawers and a place to hang clothes inside, so there is lots of storage. Measures a little over 59" x 35". Found this vintage wooden heart shaped stool at a thrift store! 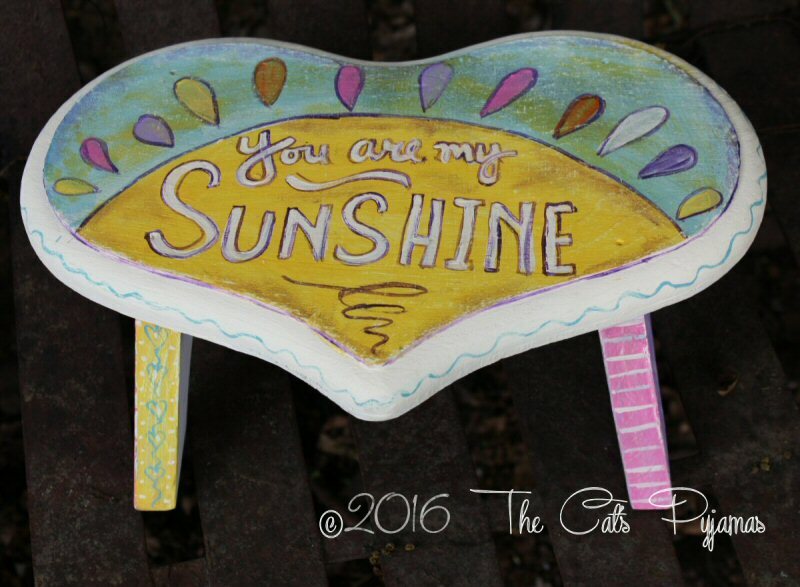 I painted a colorful sun and "You are my SUNSHINE" on the top. 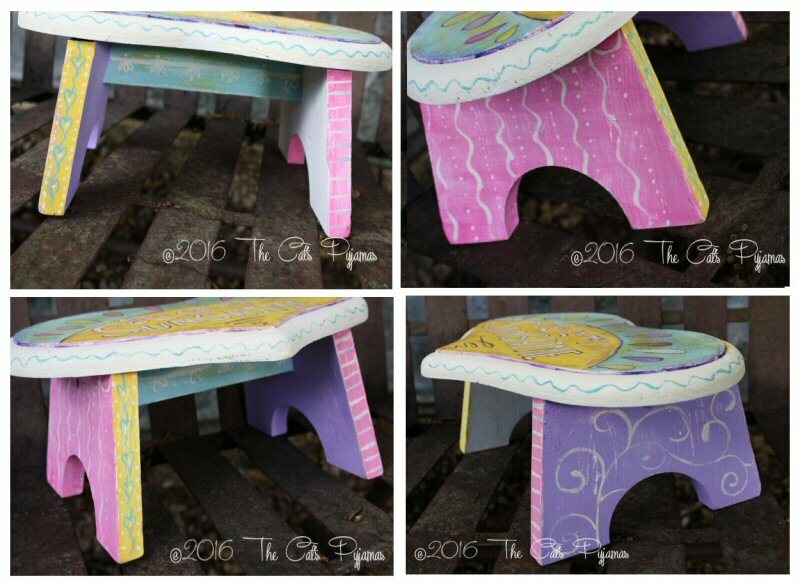 The bottom is painted in different colors and patterns for a fun & funky look. Measures 13" x about 7.5" and is 5.5" tall. Perfect little step for toddlers or just to display. Will come signed & dated. It isn't sealed in the photos, but it will be sealed before mailing out. 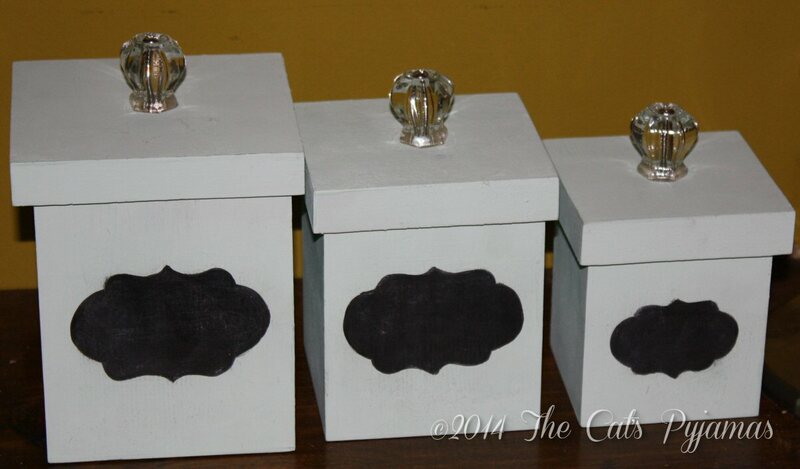 Handpainted a retro green color with chalk board "labels" painted on and clear glass knobs. They aren't lined, so I wouldn't store food in them unless sealed in another container or plastic bag. 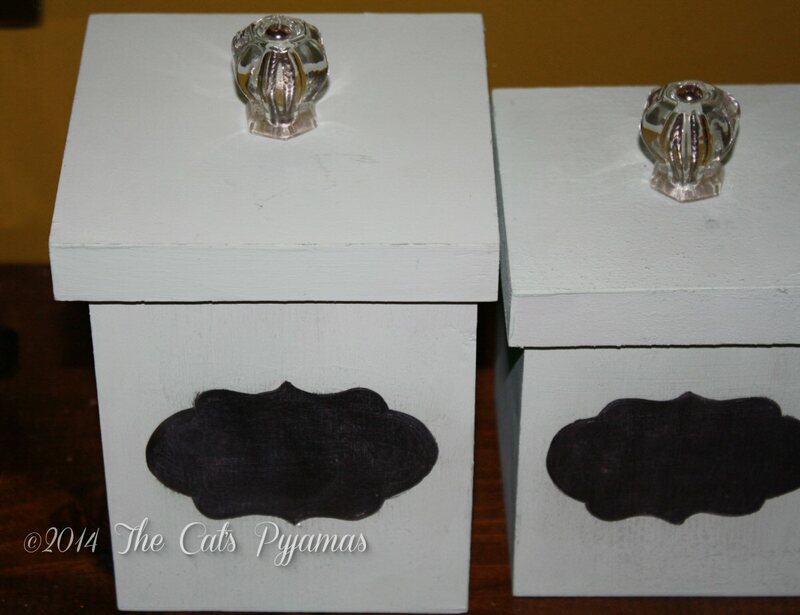 Would be great for storing craft supplies, etc. 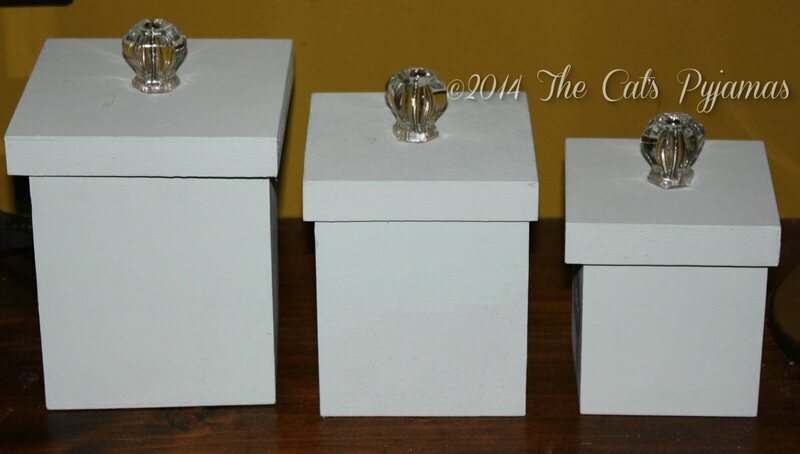 Small box is 4" tall, box 3.25" wide and lid is 3.75"